A DDoS attack on the North American Final Fantasy XIV servers has been ongoing for almost a month, Square Enix confirms. While the publisher insist they’ve been able to contain the attack and “keep the impact to services at a minimum,” in a brief update yesterday, Square acknowledged the attacks on its North American Data Center – which were first reported on June 16, 2017 – continue. 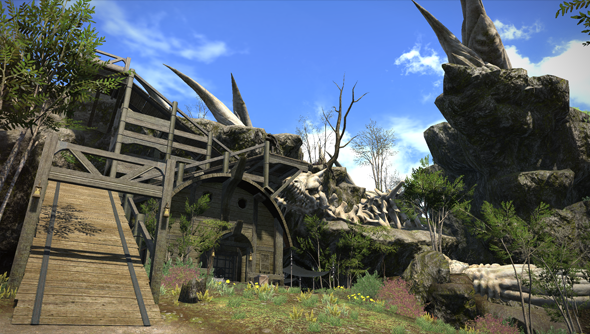 After its rebirth, Final Fantasy XIV made our list of the best MMOs on PC. “Since July the attacks have shifted away from the Final Fantasy XIV game servers and the target has changed to focus on the upper-tier internet service providers (ISPs) that are required to connect to the data center,”Square Enix details in their statement. “These attacks to the upper-tier ISP network are causing lapses in communication to the game servers, giving rise to instant disconnects during logins. While Square Enix maintains the measures have been “effective,” they admit “there is the possibility that the attacks could occur again,” and are strengthening their defenses and ties with those upper-tier ISPs. They finish on thanking the community for their patience and apologising for the inconvenience. This isn’t the first time Final Fantasy XIV has been plagued by DDoS attacks – three years ago, players lost several days when “a massive number of access attempts” were made to their servers.